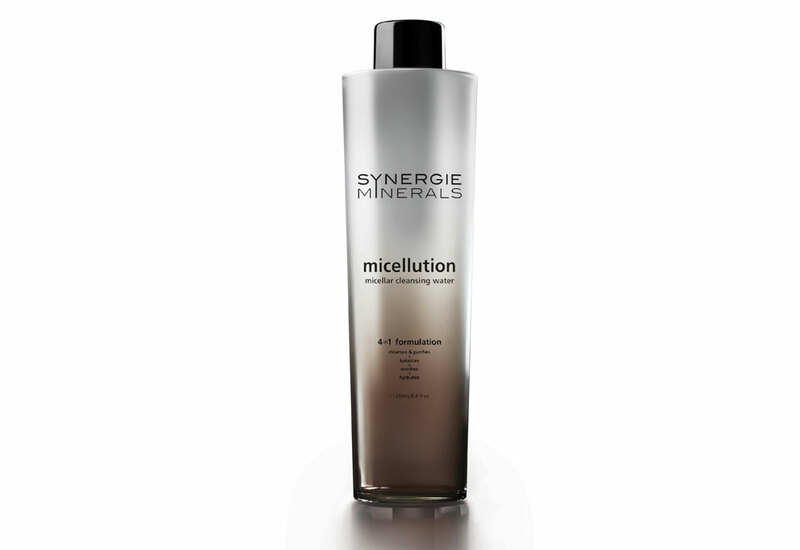 Micellution (250mL) is a gentle 4-in-1 micellar cleansing water that will effectively remove traces of makeup, oil build-up and impurities from the skin. In a few sweeps, impurities are dissolved without stripping the skin, leaving the skin purified, balanced, soothed and hydrated. 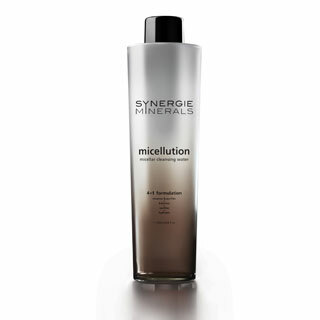 Micellution follows the Synergie ‘Clean Science®’ philosophy, which means it is formulated without PEG, parabens, irritating surfactants such as SLS, artificial fragrance or colours. The calming solution makes it a skin-nurturing alternative to the harsh traditional face wipe. It is suitable for all skin types, including sensitive skin, and gentle enough to use on the eyes and lips. • Witch hazel a natural astringent, reducing inflammation and sanitising the skin. Also aids with hydration and stabilises the barrier function of the skin. • Canadian Willowherb an anti-irritant and anti-redness ingredient for all skin types. • Aloe Vera a powerful anti-inflammatory which calms sensitive skin. Traditionally renowned to relieve irritation of burns, and moisturise the skin to promote wound healing. Application: Simply apply to a cotton pad and wipe over the face and neck to remove traces of makeup and impurities. There is no need to rinse. Follow with serums and a moisturiser suited to your skin type.